Everyone loves to quote the fact that Canadians are at 165% of our take home salary with debt. That means that for every dollar that a Canadian takes home after tax, we owe $1.65 of that in debt. 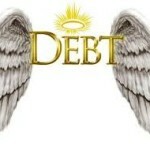 We have all been told that there are good and bad debts, but when we don’t have a job they are all bad. However, is it possible that when you have a stable job and you are buying quality assets then all debt can be good? The Donald and other real estate barons made all of their money using debt to leverage their assets. Once you have one property or asset payed for you can re-mortgage it and get another one. Now you have two assets hopefully growing and making you more money. Demonizing ALL debt in our society won’t change that. Here is how I use “good” debt now that credit is as cheap as it ever will be. Homes and Mortgages: If you have expensive debt and room to re-finance on your home, this is probably the time to consolidate them all and pay them off. If you have a car loan and credit cards and maybe some lingering student debt, you’d be paying from 3-8% for cars all the way up to 20% for credit cards (if you have department store cards at 30% I’m too horrified to even mention you :do ) It’ll all be cheaper if you wrap it up at 2.5% or whatever the lowest variable rate is. If you think that rates will increase in the next few years, getting a fixed rate will be cheaper too. Wrap all of your debts into one product and then make the highest payments you can until they are all paid off. Try for 10 or 15 years and know that you’ll save thousands of dollars in interest and be debt free on a specific date in the near future. Expensive Cars or Boats: If you’ve always wanted an awesome car and you can get it at 0.9% financing AND you can totally afford it, why not? At almost 0% car loan levels, you might never be able to afford to buy your dream car ever again with almost every payment going towards the principle. Finance, don’t lease, and then drive it into the ground to get your money’s worth. Non Registered Investment Loan: If you borrow money to buy a dividend portfolio outside of your RRSP, you can write off the interest as well as get a cheap rate in the form of an investment loan or line of credit. If you are bad with investing don’t try this. If you are good, pick or get your broker to pick awesome stocks that pay great dividends and use the dividend income to pay back the loan. Be ready for BIG ups and downs in the market and hope that in 10 years your portfolio has paid itself off and you have lots of money. Starting a Business: It might not be the best time to start a business in this slowing economy but money is cheap if you have a good plan and customers already. It could be the time to go out on your own and fund the party with a cheap Home Owner’s Line of Credit. Just remember to set an amount where you decide to walk away. You don’t want to have your business go broke, leaving you with a huge mortgage. But if you are an true entrepreneur, you’ll make it happen. I beleve in you. Debt is not good or bad it is just debt. It’s up to you if you use it wisely or not.